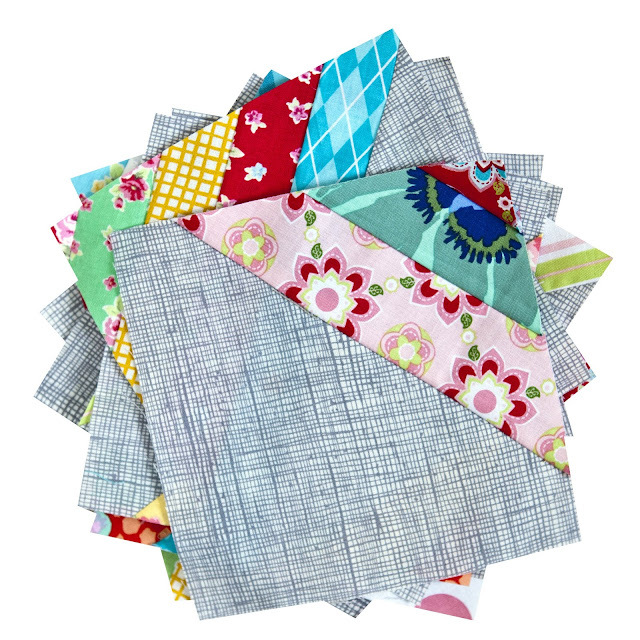 I am holding another Baby Quilt class at the Village Haberdashery in September and have been planning to make a new class sample for a while now. 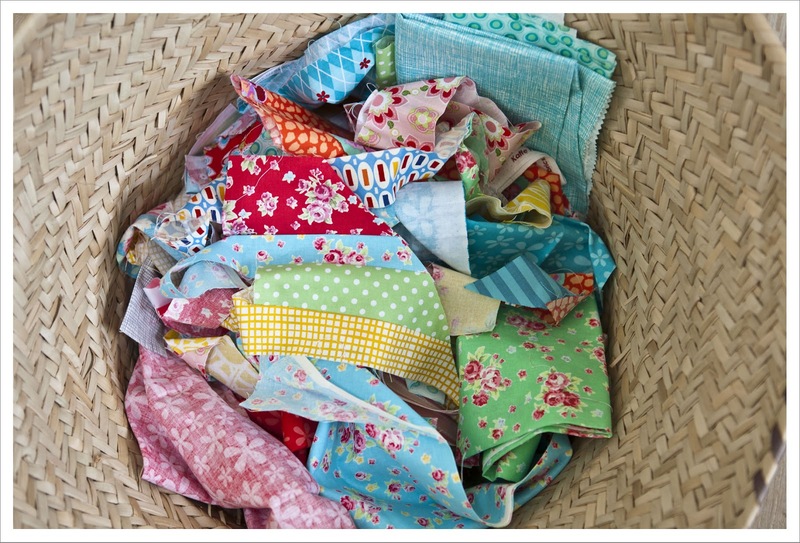 So the other day I came across the few fat quarters of Lecien Flower Sugar I have in my stash and thought something ought to be done with it. They are the really beautiful prints from an older collection of the series (about 2 years ago) but the the new collection is rather gorgeous too by the way just in case you want to add it to your stash. I love the turquoise, bright green and red in those prints and dived into my stash and scraps and pulled out a few more complimentary bits. I felt like doing something different and started cutting strips that I then combined with my Alexander Henry Heath in Steel Gray and the result are some beautiful 6" squares that are a mixture of strip pieced and half square triangle. 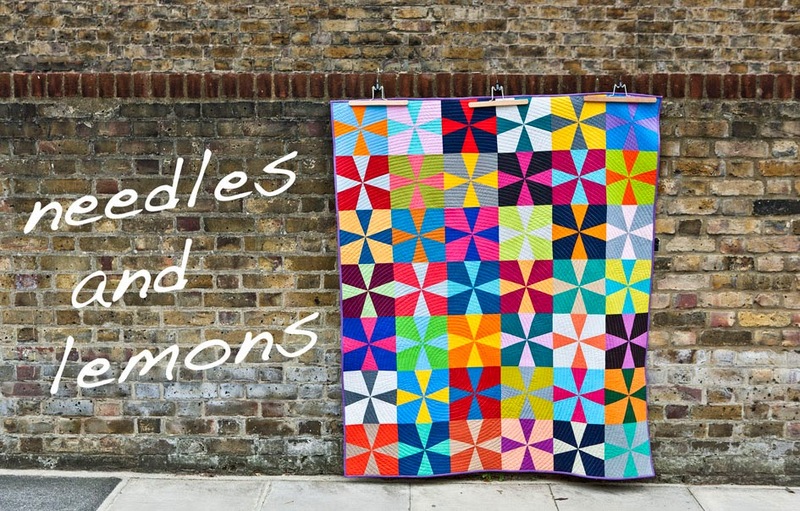 I saw these first at Fresh Lemons Quilts sometime last year and the picture hast stuck ever since somewhere on the back of my brain. Faith also has a tutorial for those little butterflies too. This is a beautiful colour palette! that's going to look fab! Nice fabrics indeed and I love that background!